With its central location, Club Bali Suites @ Jayakarta Bali is within easy reach of most tourist attractions and business addresses in Bali. This 4-star hotel was established in 1996 and offers 52 guestrooms. Each guestroom features amenities such as air conditioning, daily newspaper, desk, hair dryer, ironing board, television. 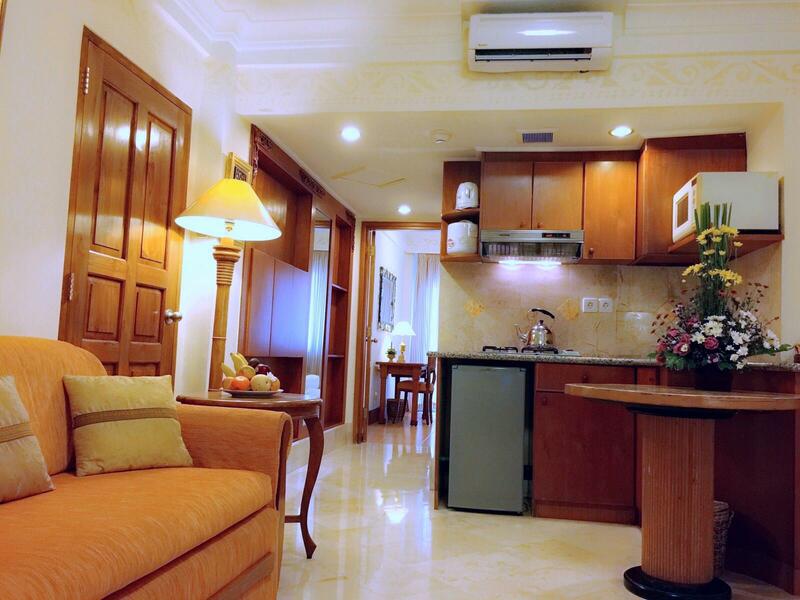 Hotel facilities offered at this Bali accommodation include 24hr room service, shops, elevator, coffee shop, bar/pub. For guests to unwind, the hotel offers a variety of facilities and services including massage, pool (kids), jacuzzi, kids club, gym, tennis courts, spa, water sports (non-motorized). The hotel provides a warm and welcoming service of international standard. To proceed with this reservation at the Club Bali Suites @ Jayakarta Bali, please enter your visit dates and follow our secure online booking form.